is an award-winning actor, singer and dancer who has performed in 11 Broadway shows – most recently the revival of Violet – and originated roles in the Broadway productions of The Drowsy Chaperone, Little Women, Young Frankenstein, Shrek The Musical, and her Tony Award-winning performances in Anything Goes and Thoroughly Modern Millie. She was first seen on television on Star Search at age 15, and has more recently appeared in Bunheads, Psych, Johnny and the Sprites, Flight of the Conchords, Sesame Street, Law and Order SVU and Royal Pains. 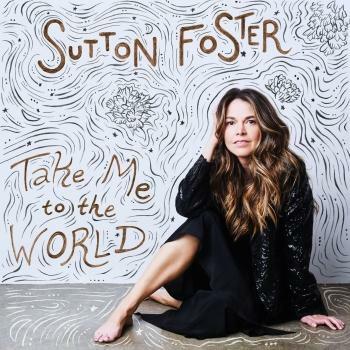 As a solo artist, Sutton has performed all over the country as well as internationally with her musical director Michael Rafter… featuring songs from her debut solo CD “Wish” as well as her follow up CD, “An Evening With Sutton Foster: Live at the Cafe Carlyle.” She has graced the stages of Carnegie Hall, Feinstein’s, Lincoln Center’s American Songbook series, Joe’s Pub and many others. In 2011 she received an Honorary Doctorate degree from Ball State University where she also is on faculty as a teacher and advisor to the Department of Theatre and Dance. Since March 2015, she stars in TVLand’s new series, “Younger” created by Darren Star.